The most accurate way to mix Pantone colour inks. Pantone Formula Scales come in two sizes and are pre-programmed with all Pantone Matching System colours including The Pantone Plus Series, Pantone Metallics and Pantone Pastel & Neons, enabling you to quickly and accurately formulate Pantone colours for faster set up, improved quality and higher productivity. Save money by mixing your own Pantone colour inks on site, as the Pantone Scale's simple three step process takes care of all calculations and guides you through the Pantone formulation mixing process. 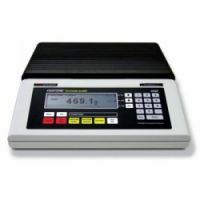 Pantone Formula Scales are specially developed with printers in mind and will survive the rigours of the press room and require no routine maintenance. View the full range.